As far back as 2007 Mapflow, as LexisNexis® Map View was then called, sent every insurance CEO in the UK and Ireland a copy of former US Vice President Al Gore’s book, and the movie, ‘An Inconvenient Truth’. We were making the point at that time that the threat of climate change had emerged as a new and powerful risk metric for the future. Map View had arrived, taking the dark art of climate modelling used by reinsurers as it was ten years ago, and making it easy to use in the hands of property underwriters at the point of quote. Now, more than a decade later, it’s useful to reflect on how far we’ve come and where we are going, with enhancements to the LexisNexis® Map View service. Map View has supported property insurers across the UK and Ireland with assessing flood and other risks at point of quote, reducing exposures to the industry. Today there are also global and Canadian insurers using the service. Map View has become a must-have tool for property insurers working in our market. Let’s consider for a moment that 2017 was the worst year on record for insurance losses, and why we as an industry are still on a long road to improving predictive modelling for property risk. The insurance bill for 2017’s natural catastrophes, including the hurricane trio of Harvey, Irma, and Maria and a severe earthquake in Mexico came to a total of $135 billion, higher than ever before. And overall losses – which includes uninsured losses – amounted to $330 billion from 710 natural catastrophes, the second-highest figure ever recorded. The global insurance costs in 2017 were almost three times above the ten-year average of $49 billion and 8% higher than the previous records seen in 2005 and 2011. Severe flooding has occurred in the UK in 13 of the 17 years since 2000, with the worst floods in the north of England in 2015 costing the economy over £5 billion. Climate change means that such extreme events are forecast to occur more frequently, with the impetus that pooled data solutions, and ever-greater data accuracy have never been a higher priority for protection in society, and for the insurance business. All of this goes to show the importance of preparing for natural catastrophes, and the vital challenge for insurance in continuing to prepare and improve its predictive modelling. In terms of flood, the role of LexisNexis® Map View is traditionally to provide Flood Re and other flood plain data with our delivery mechanism into our insurance customers. Flood Re – delivered through our platform – has certainly eased the process for insurers. We have commented in a previous blog article about the great achievements with Flood Re and some other future steps for government, insurance and other stakeholders in raising flood resilience. There is still much to be done considering that Flood Re applies only to home rather than commercial property insurance, and it is slated to run for no longer than the next 20 years. 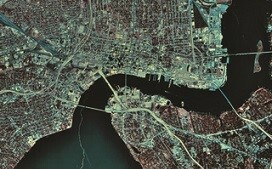 The LexisNexis® Map View developments recently have involved taking additional external property data sets, real-time flood alert providers, together with Map View data, and using those alongside our predictive model and historic data sets for claims and other measures that insurers are using. Adding historical precedent: This relates to a further additional 64,000 properties (in England and Wales). Collaboration through sharing of flood claims data, to create flood claims clusters, is an important industry ambition. In this area, we have been doing a lot of work with insurers on leveraging the databases that they already have, connecting and re-using licensed data for multiple purposes. Considering geographic patterns in escape-of-water claims and other claims together with other perils such as fire, there is huge potential for ingesting these new data sources into Map View, to uncover new insights. Insurers are demanding this, and in this sense, we very much continue to set the trends, helping to identify new risk patterns, Map View Monitored Zones and zones of accumulation risk (looking across insurance lines and outside of pure technical underwriting) that can impact an overall insurance book of business. Insurance started out using postcode to access flood data and other perils data. We have helped to move the industry down to the address level, and now more recently serving the data down to the building footprint, to be able to pinpoint risk within an address location. Using our geo-spatial imagery, insurers are now able to analyse a large commercial building such as a warehouse which could potentially be partially inside, and outside, the edge of a flood plain. Or there could be co-location risks for fire that relate to the outline of the property and adjacent buildings. Building polygon-based risk intelligence is going to become state-of-the-art. Address point analysis with traditional commercial underwriting could show a property as requiring flood insurance, or not, by mis-identification in say hundreds of quotes. But building footprint analysis allows for solving these kinds of geo-spatial difficulties at a more accurate level. Such a level of accuracy solves a problem for the underwriter in both cases: where an automated decision has resulted in flood risk not being included, or where it has been included unnecessarily (for example if the building outline sits on higher ground than the address point). Other new datasets we are also working with include analysis of building construction type, roofs of buildings for material type and condition, as well as additional forecasting and flood data sources, all of which helps the underwriter to make an informed decision. These data sets have not been previously available at a viable cost and over time we expect to bring in not just additional data sources but also building outline data for home insurance. Together with the work we, at LexisNexis Risk Solutions, have been doing with flood alerts, Map View is helping insurers with risk management along the whole of the insurance continuum, not only in pricing and underwriting. Visit the LexisNexis Risk Solutions website to find out more about how we support insurers.